George was a wonderful guide! We had a great tour planned that was a little sidelined by a traffic accident that shut down a major route we needed to take. George was able to make an alternate plan on the fly and took us to some beautiful towns. He is knowledgable, sincere, down-to-earth, and just a fun guy to spend a day with. We will definitely look him up next time we are in the area. Nathan and Chris Stark, United States. My father and I reached out to George about a day trip that included some hopping around to locations that wouldn’t likely be on a traditional commercial tour. George went above and beyond – not only did we visit these locations, but George went to great lengths researching these locations in advance, and was able to give a very customized experience. There were no hard stop and go’s – which was very nice, too! Truly a memorable experience! Our single Scotland port day was probably the part of our vacation that my husband and I were most looking forward to, and I was very motivated to make the most of it. George and I communicated via e-mail many months before our trip, and he graciously modified the suggested itinerary to include my requests. When he found out that our ship was docking earlier than planned, he suggested we bump up our meet up to give us some more time. We did a brief driving tour of Glasgow (lovely), visited the impressive Sterling Castle, stopped briefly at Doune Castle, stopped in picturesque Aberfoyle for a delicious pub lunch and sheep herding demonstration, and then visited Loch Lomond from two different vantage points. (ps – as George had predicted, my pre-teens *loved* watching the dogs show off their herding ability!) George was delightful to spend the day with: knowledgeable, cheerful, and warm. He was also a very prudent driver, and watchful of our time – very important during a cruise excursion. Thank you, George, for a magnificent introduction to the beautiful country of Scotland! George was terrific! We arrived by ship and he meet us promptly. My husband and I were traveling with two teenage boys who both had a great day as well. We visited Stirling Castle, had a great pub lunch with George, had a private bagpipe demo, and had our picture taken at Loch Lomond. He also fit in some great shopping and a distillery. Awesome day in Scotland. George is a gem! Naomi Roy, Woodstock, CT, United States. George, I am one of the tour group that you did with Largs, the Cathedral, and the islands, ferry. We loved your tour! Irma and I have reminisced about it every day on the rest of our trip. The rest of the group probably got tired from hearing how excited we were about the cathedral and the islands, the great lunch at Largs, and how good you were in explaining things for us. Thank you SO much for such a wonderful day! We loved it. Hi George, Just a quick note to thank you so much for a wonderful tour around the fabulous Highlands of your country. The scenery you showed us was breathtaking and we enjoyed your company and extensive knowledge very much. We have reached home to Wolverhampton and you wouldn’t believe it – it’s cold, dark and pouring with rain!! Excellent, informative – George is very knowledgeable and most courteous and friendly. Would definitely recommend. Waiting for us off ship. Very welcoming. Ford Tourneo / Transit – very roomy, comfortable and airy. Wonderful – – a great day! Informative, fun, organized – – George is very enthusiastic and easy to spend the day with. Thank you! Outstanding, a beautiful overview of the area – all the pretty spots and great weather. Thank you for a lovely day. Excellent, a wonderful overall view of a great and beautiful Scotland. I wanted to let you know what a great time we had with you in Scotland. We saw things that I would have never imagined. I think my favorites were Clava Cairns and the Isle of Skye. But there was so much beauty in the Highlands that it was hard to pick out favorites. The small villages, the rugged mountains, the beautiful coast lines ….. just so much to see. And you made it possible. Your private tour in the small van are definitely the way to do it. Thanks again. And we’d be glad to recommend your services to any potential customers looking for an endorsement. Wonderful tour host, very knowledgeable. Extremely personable, a pleasure to spend the day with. Well worth the price!!! Outstanding! Lots of attractions visited in minimum time. George is great & very knowledgeable. Highly recommend! 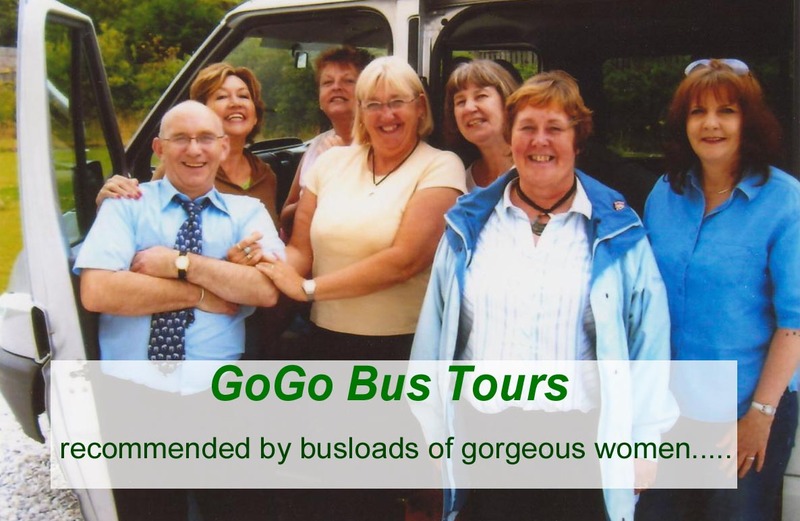 Terrific – great tours. Exactly where we wanted to go. George is a great guy. Excellent welcome, driver/guide and vehicle. I Just wanted to pass along once more our sincere thanks for a most spectacular week in Scotland. We so enjoyed ourselves. The scenery in Scotland was truly breathtaking and your thorough knowledge of the areas we visited and the history attached made the entire week so great. Thanks again from the bottom of my heart for a wonderful week.